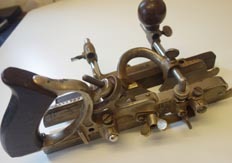 DOVETAIL SAW BY THOMAS TURNER & Co. SHEFFIELD. 10" (255 mm) DOVETAIL SAW BY THOMAS TURNER & Co. SHEFFIELD. REFINED CAST STEEL. CIRCA 1880-1906. GOOD CONDITION. STRAIGHT & TRUE. MINOR PITTING SPOTS & RUST.